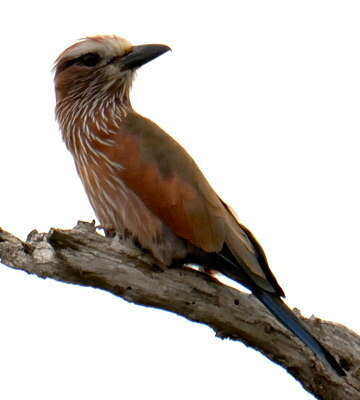 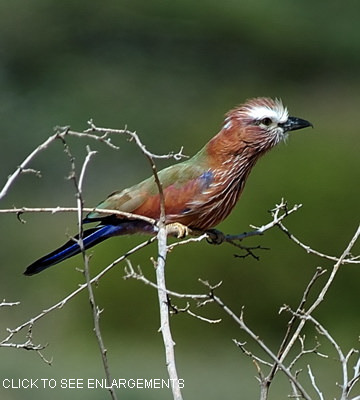 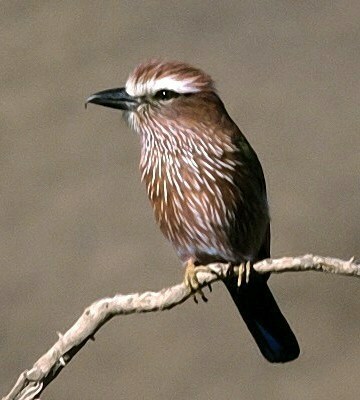 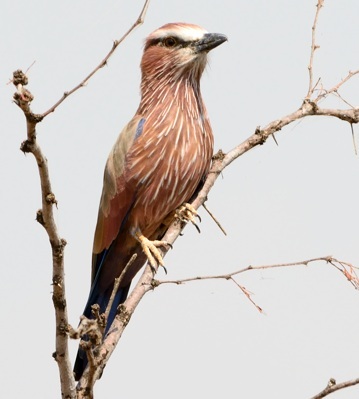 The rufous-crowned roller is distinguished from all other Tanzanian rollers by the lack of blue color on the belly. 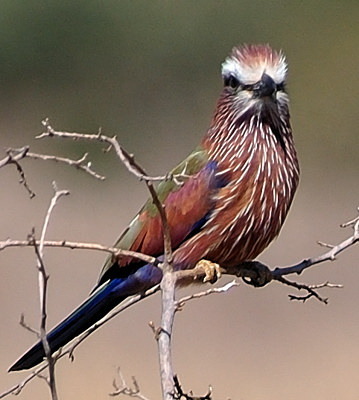 It is the largest of the East African rollers. 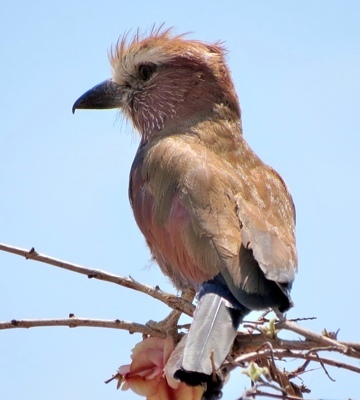 The left 3rd row photo (Ruaha, 10-17) is courtesy of Brad Johnson. 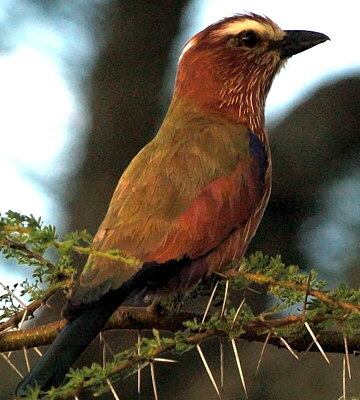 The other photos were taken in Yaida Valley, Mkomazi, Mara River, Engikaret and Ngorongoro Crater. 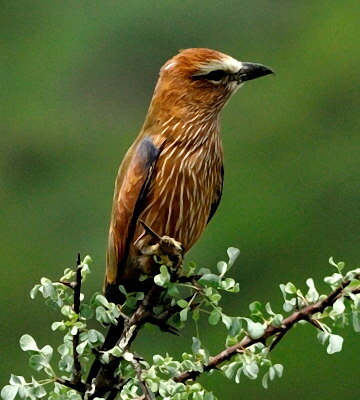 Click the photo above to see 12 enlargements.